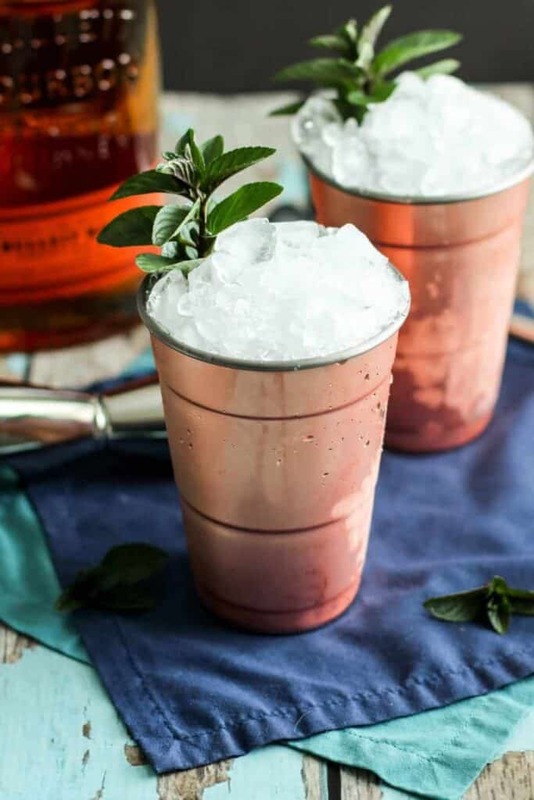 These Mint Juleps are perfect for Derby Day. Or any other hot day, for that matter. 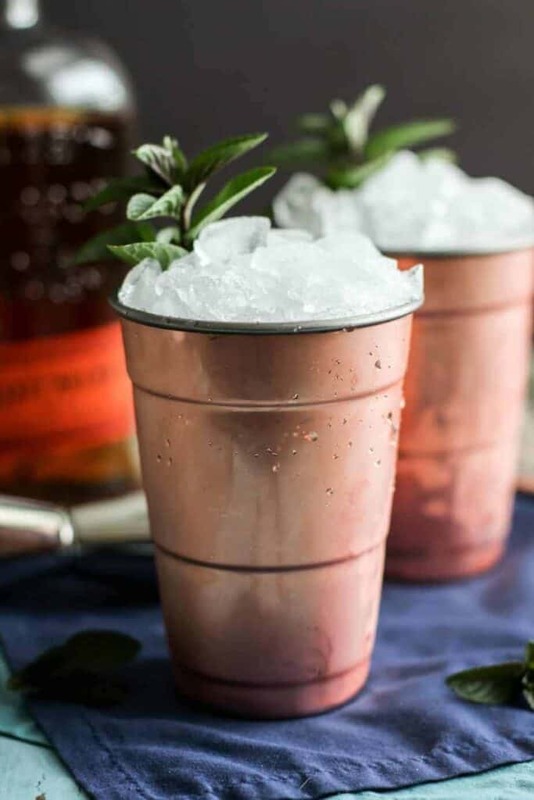 Mint Juleps are super easy to make, too. Just muddle some mint leaves with simple syrup, pour in some bourbon, and top with lots of crushed ice. Garnish with another sprig of mint for the minty aroma and because it makes the drink look classy AF. I used chocolate mint because that’s what I have growing on my back deck. 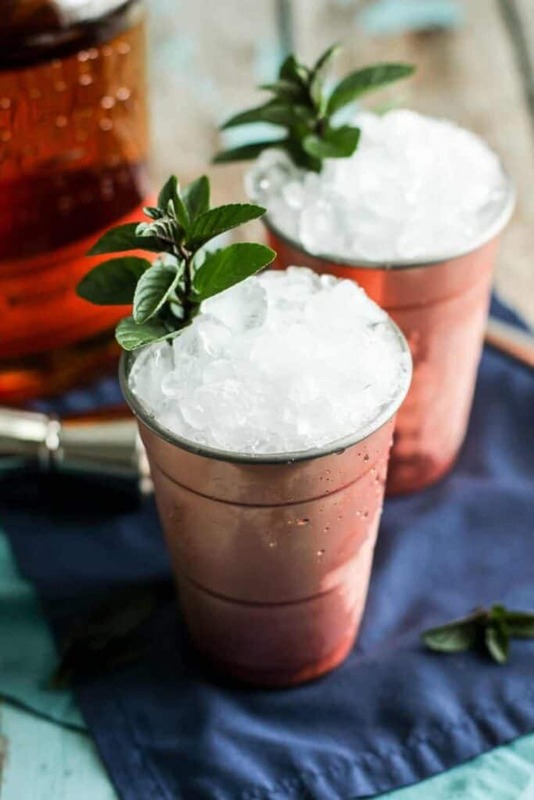 According to the Kentucky Derby’s website, nearly 120,000 mint juleps are served during the course of the 2 day celebration. And it’s easy to see why. They’re delicious, sweet, and very refreshing. 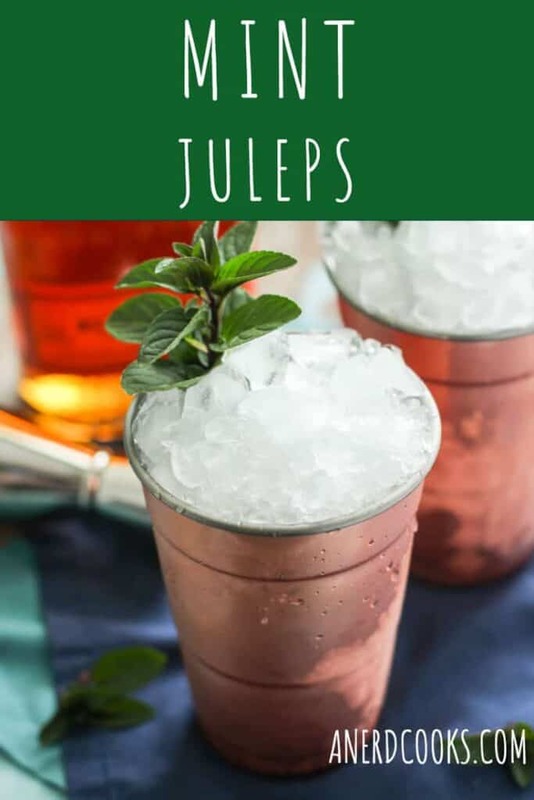 I really like this recipe, but it’s worth acknowledging that there is no single accepted Mint Julep recipe. Many variations exist. 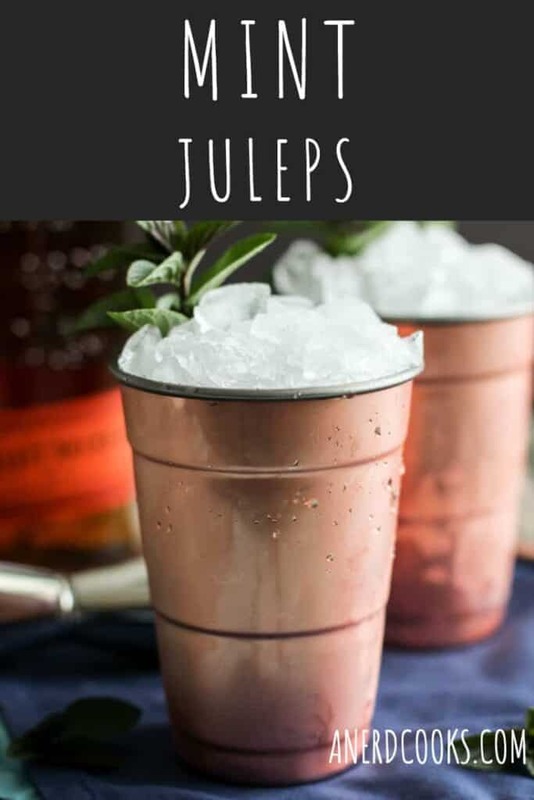 One thing that is agreed upon, though, is that they should be served in Julep Cups. The ones that I used in these pictures are not exactly traditional, but I think they qualify. Note: The recipe for simple syrup can be found here. Looking for more bourbon drinks? 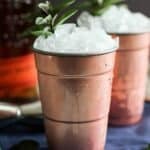 Try these Bourbon Moscow Mules, Maple Bourbon Moscow Mules, Bourbon Pumpkin Shrub Cocktails, and Blood Orange Bourbon Sours. this looks delicious, cant wait to make it – but most importantly those cups are gorgeous, where did you get them? Thanks, Tori! I picked them up at At Home (https://www.athome.com/).